Today I am bringing you all something a little different from what you're used to. I've written about movies, art, music, and more, but until this point, I haven't really covered the art form of comedy in any medium. I've interviewed famous painters, photographers, and curators, but I haven't interviewed any internet celebrities. Today, I am filling in those gaps in my repertory as well as indulging my appreciation for both comedy and anime. For those of my readers who are not interested in internet-related or anime-related media, this interview may not be for you. I am delighted to present to my more internet-culture-savvy readers an interview with the man behind the incredibly popular web series, "Yu-Gi-Oh! 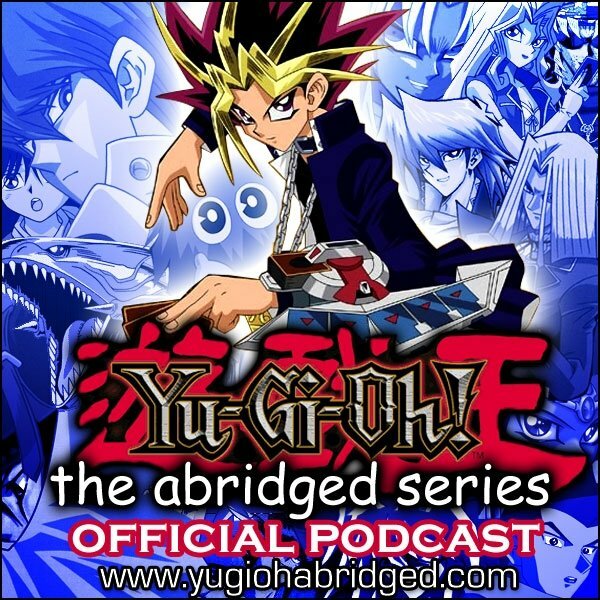 The Abridged Series". This series, created by YouTube user LittleKuriboh, is a sharp, witty, and often-filthy parody of the popular anime "Yu-Gi-Oh". The original series concerns a group of teenagers playing card games in tournaments and dealing with ancient Egyptian mythology. (Don't ask; it all made sense when I watched it age age ten.) Over the last several years, LittleKuriboh has skewered the absurdities of the source material as well as the particular oddness of the English dub of the anime, in videos that range from four to twelve minutes, condensing ridiculous plotlines into short, immensley watchable videos. In so doing, he essentially singlehandedly created the internet genre of "Abridged Series" and has spawned hundreds of copycats creating Abridged Series of popular anime such as "Naruto", "DragonBall Z", and "Pokémon", to name but a few. LittleKuriboh is also quite active in the anime convention world. Not only has he abridged much of the original "Yu-Gi-Oh" series run, but he has abridged some of "Naruto" and "DragonBall Z" in side projects. Though his popularity, skill, and oeuvre as an abridger have grown, he has not forgotten about the simple pleasures of creating parodies, appreciating anime, and making people laugh. I On the Arts: How did you get started? LittleKuriboh: I was on a bit of an insomnia kick and tended to watch a lot of early morning cartoons as a result, mainly Pokemon because I missed out on it the first time it aired in the UK. I caught the end of a "Yu-Gi-Oh" episode and ended up getting hooked as I gradually watched more and more. As a result, I became a big fan of the show and wanted to do something with it, which ended up being the abridged parody. IOtA: Why did you pick "Yu-Gi-Oh"? LK: I'm a huge fan of the show, and I genuinely believe that in order to successfully parody something you need to know it inside and out. Knowing the show as a fan helps you appreciate the good and the bad in it, so it's easier to lampoon. IOtA: How did you find out you were so good at voices? LK: I used to do lots of impressions as a kid at school, mainly of my teachers. It tended to make the other children laugh so I guess I kept it in my pocket as a skill throughout my adolescence until it came back in a big way when I started doing parodies. IOtA: Is there any vocal training or exercises you do? LK: Nope! I really should but I don't take what I do all that seriously so I don't really like to take the extra time to prepare for the voice work side of things. IOtA: How long does it take to write/record/edit an episode? LK: It varies. It can take weeks or even months. Mostly depends on how busy I am at the time. IOtA: When, in your opinion, did the show really take off? LK: Not long after it started. Around Episode 6 of the show I started noticing forum posts on websites that had nothing to do with "Yu-Gi-Oh" talking about it. It snowballed almost immediately. IOtA: What is, in your opinion, the best episode you've produced? LK: I'm very proud of Episode 45 of "Yu-Gi-Oh Abridged" for the writing and the voice acting aspect, I feel I nailed the tone of the story while maintaining the humor people had come to expect of me. Overall my proudest parody project would have to be my Naruto Spoof movie. Just one of the funniest things I've worked on, for myself and my audience. IOtA: What's the best memory you have of making this show or surrounding "Yu-Gi-Oh! The Abridged Series" in general? LK: Meeting people who've been able to get through a difficult time as a result of the show. Knowing that what I, and other content makers in this genre, do tends to make people laugh in times when it can be hard to even smile is extremely important to me and makes the whole thing worth it. IOtA: What led to your decision to make a "Naruto" parody? LK: I've had an on again-off again rivalry of sorts with the "Naruto Abridged" guys, and on April 1st of 2009 I offered to do a swap with them. While I would parody "Naruto", they would parody "Yu-Gi-Oh". Sadly they didn't get around to making their parody, but they still graciously allowed me to release my "Naruto" thing. The more it sat with me, the more I realized I enjoyed making the "Naruto" parody, and decided to make it an ongoing thing. IOtA: How did the TeamFourStar project come about? LK: TeamFourStar are the creators of "Dragonball Z Abridged" and include [YouTube users] KaiserNeko, Lanipator, and Takahata101. I personally was not around for the conception of their group or their series so I can't really speak on their beginnings. Best to ask them really. IOtA: What led to your decision to include TeamFourStar in the cast for "Yu-Gi-Oh! The Abridged Series" Season 3? LK: They're good friends of mine and I knew that I wouldn't be able to get through five duels with the Big 5 characters with just me voicing them, so I handed the roles out and tried to do something different for each of them. Some worked better than others! IOtA: What are some things you would have done differently? Any regrets? LK: There are some pretty offensive jokes in the show that I definitely would have taken out had I the foresight. Also I wish I'd had better audio equipment and editing software in the early days. IOtA: You've been doing this for over 5 years. What's surprised you most? LK: The fact that people still care so much even after all this time! IOtA: How long do you plan to keep making episodes? LK: For as long as I can keep on doing it without it hindering my ability to live comfortably. So hopefully until the end of the series. IOtA: And, of course, "where's the new episode?!" LK: Episode 60 will be online within the week! Interested in taking a look at "Yu-Gi-Oh! The Abridged Series"? The website, with all of the episodes as well as miscellaneous other videos, is located here. The series is also available as an iTunes podcast. It astounds me that the sentiment expressed above-- that the true parody must be a labor of love-- is not a universal one. For me, it just seems self-evident. Anyone can experience a work, pick out its tiniest flaws, and magnify them in a potentially funny way, but a masterful parody has to balance the good and the bad, expressing disappointment at the latter in that way that only someone who loves the former can.